There are many opportunities for students all over Mississippi State University’s campus. 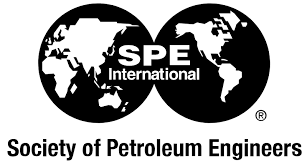 One of these include the Society of Petroleum Engineers (SPE), whose mission includes providing opportunities for professionals to improve their technical and professional competence in the oil and gas industry. Mississippi State’s chapter of SPE does just this for its members. This organization provides many opportunities for networking with potential employers. SPE holds monthly meetings, which often include guest speakers from companies who are looking to hire. Moreover, there are employers who do not attend the career fair but attend an SPE meeting to recruit only those truly interested in the oil and gas industry. Other opportunities that SPE can provide for its members include scholarships, half-priced books, and access to technical papers about cutting edge technology. Last year, students from Mississippi State’s SPE chapter attended the national SPE conference in Dallas, Texas, and a huge SPE job fair in Houston, Texas. These created opportunities for SPE members to network and find jobs, either as interns or for full-time. The organization also competed in the PetroBowl, an international competition that tests its competitors’ knowledge of technical and nontechnical industry-related information. Mississippi State’s SPE chapter has a very strong group of leaders this academic year. These include Evan Wilson, president; Lakyn Hearn and Robert Ellis, co-vice presidents; Luke Simons, treasurer; and David Patel, secretary. Keep an eye out for more information about SPE activities this year. Mississippi State’s SPE chapter hosts guest speakers at least once a month, as well as provides students with a channel to network with companies and prepare for working in the oil and gas industry.